I just had my NatGeo this morning. 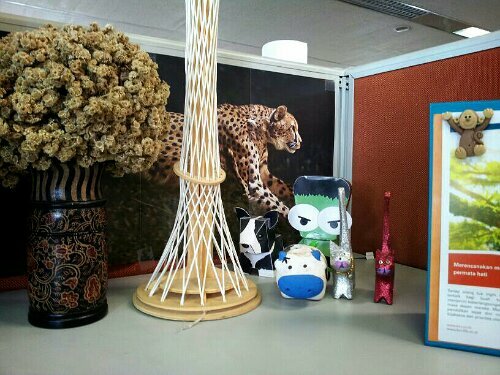 There’s cheetah poster in it which suit my cubicle. So i put tape on four corners, hang it in my cubicle. I guess it suits other stuff i have on my desk. Cats. Hulk. Dog. Cow. Monkey. Sidney tower. Eidelweis. They all come up together nicely. It gives me new look on the right side. Not just all orange like always. Hehe..